I have had a fantastic day! The meeting went really well today, so I’m very pleased about that first and foremost. Then once that was done and dusted, I took Bec to Cardiff Castle where we went on a tour around the main house. 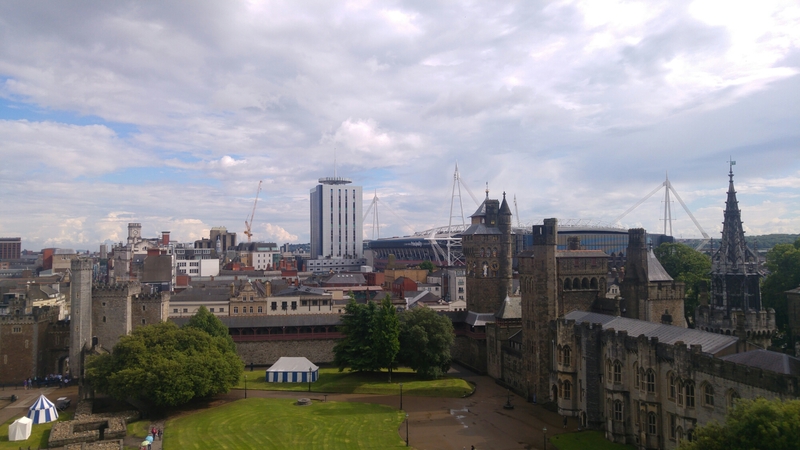 Finally we ventured up the tower where I got this photo, my favourite view point in Cardiff. After a very late lunch at 5pm I headed to my mum’s home for a lovely evening-in catching up. It’s so nice to be home in Wales; Cardiff is a beautiful city.